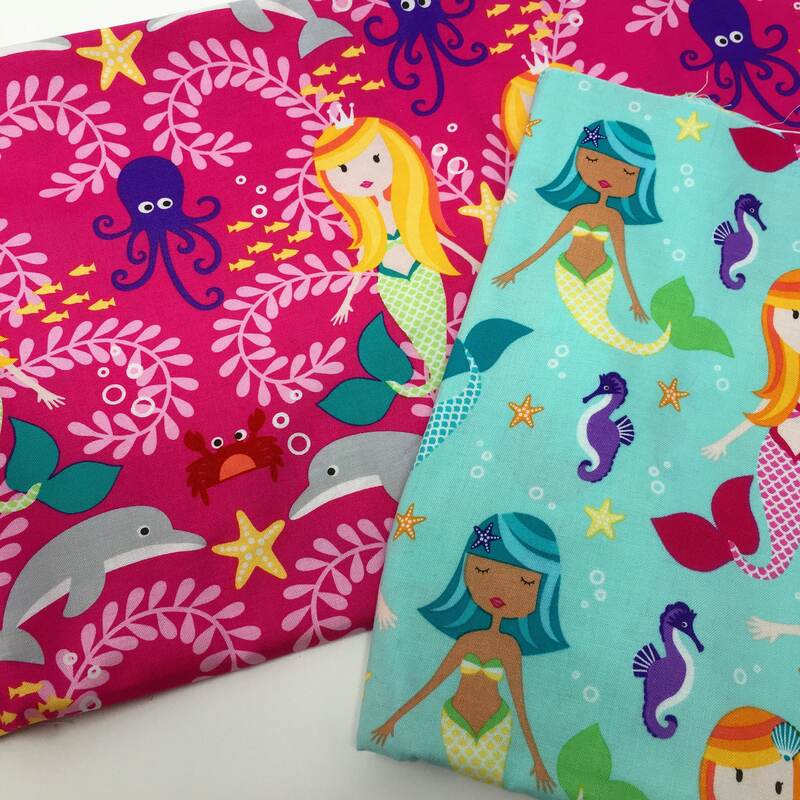 Michael Miller Siren sisters mermaid print cotton collection. 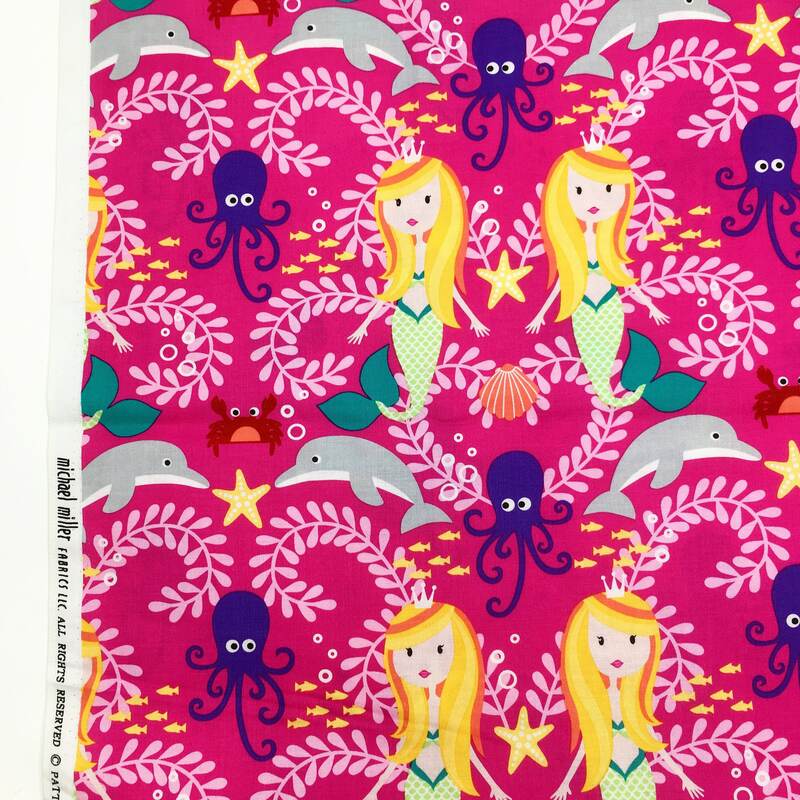 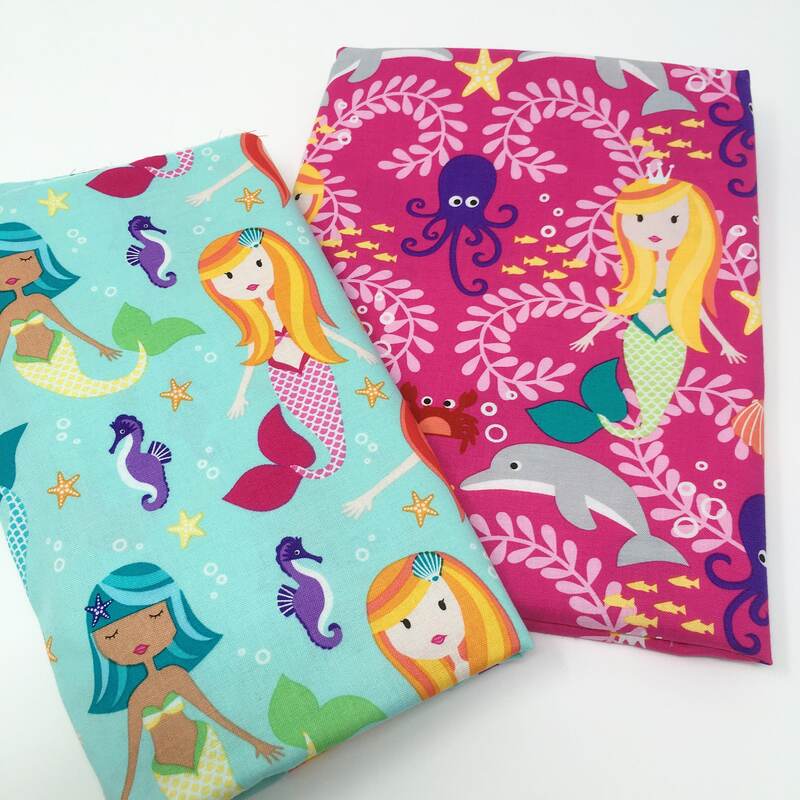 This stunning fabric features mermaids, sweet grey dolphins, rich purple octopuses and little red crabs. 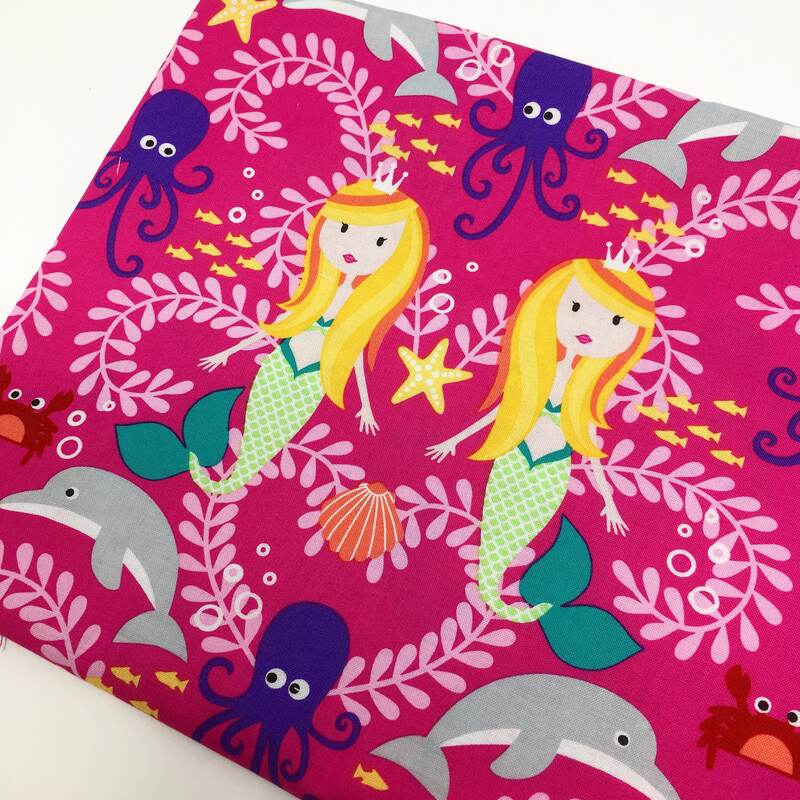 This 100% cotton fabric is approximately 44 inches wide with a vibrant hot pink base colour. 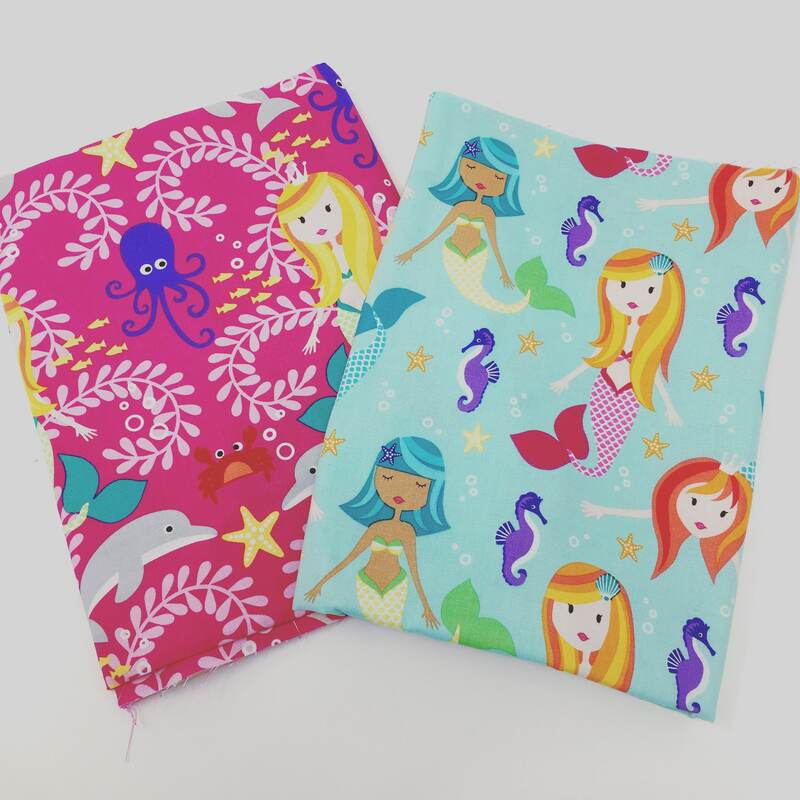 Multi coloured mermaids, scrolls and under water creatures. 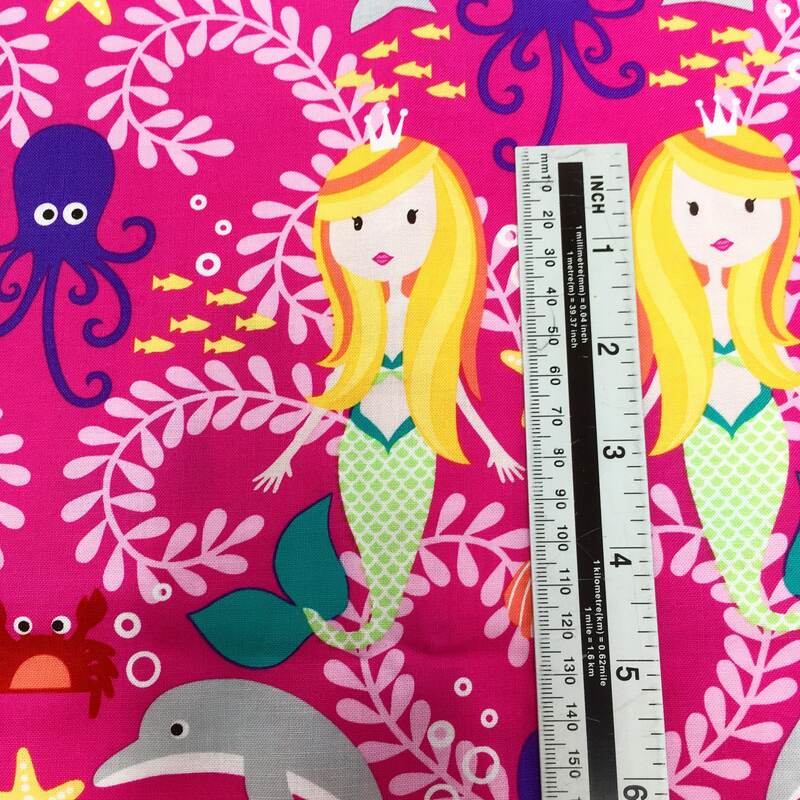 Each mermaid measures approx 12.5cm in height. 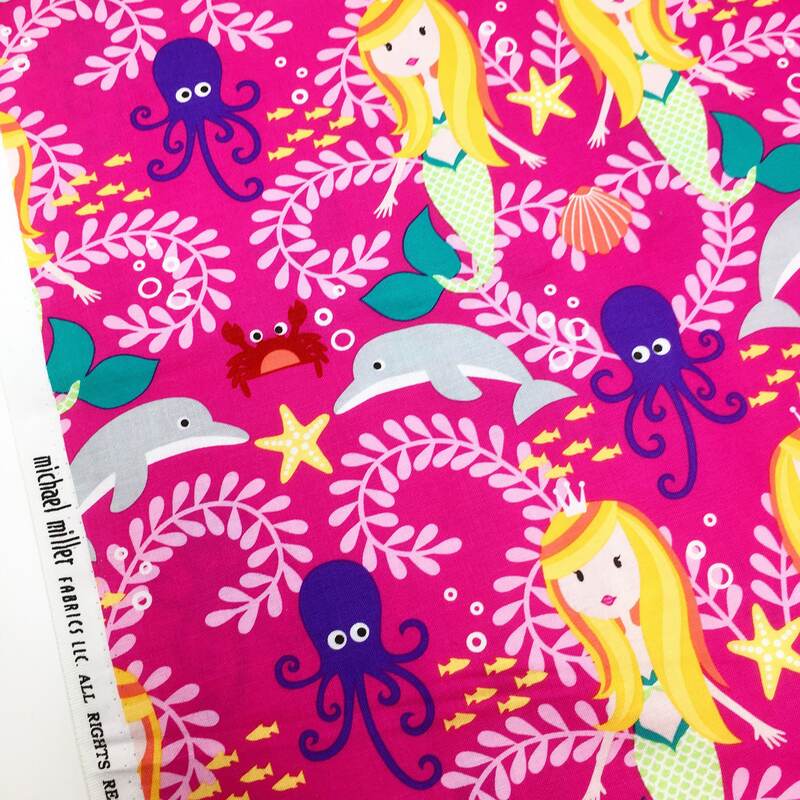 Orders of 1m or more will be cut in on continuous length.